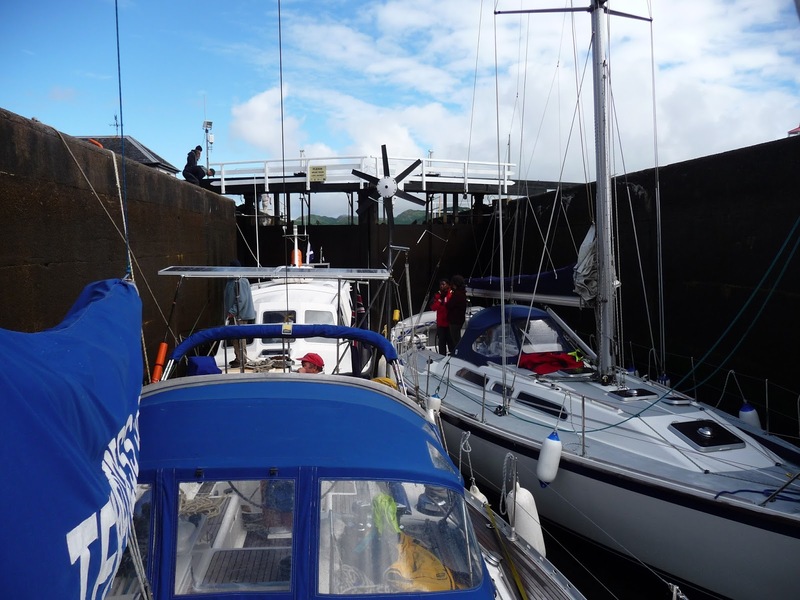 The back didn’t seem to be improving with home remedies (painkillers, rest and a hot water bottle) so Temptress made for Kerrara, Oban earlier than planned arriving at lunchtime on Monday 22 July. The crew immediately heading off on the ferry to the town and A&E. Along with several other “walking wounded” Susie’s process through form filling, triage and doctor’s consultation was interrupted by cases brought in by ambulance, it was a busy and long afternoon but finally armed with a large supply of prescription drugs Susie was able to repair to bed, drowsy with muscle relaxant and mostly pain free. The rest of the week was taken easily with the recommended short walks and no lifting whatsoever, meaning Kevin single handedly unloaded the cruising gear and prepped the boat for the regatta. Friday evening the crew started to gather; first Scott on a borrowed motorcycle then Jenny arrived with Jane who’d collected them from Glasgow airport (triggering the complex trail of cars, boats and motorcycles) in good time for the feeder race to Coabh which started early on Saturday. Jane raced down with us so she could join Malindi’s crew for the next few days. There was little breeze but we had a fair tide down past Insh and Luing. After some three and a half hours of racing the committee announced a welcome course shortening to ensure everyone would finish before the tide turned against the fleet so soon after two o’clock Temptress crossed the line. 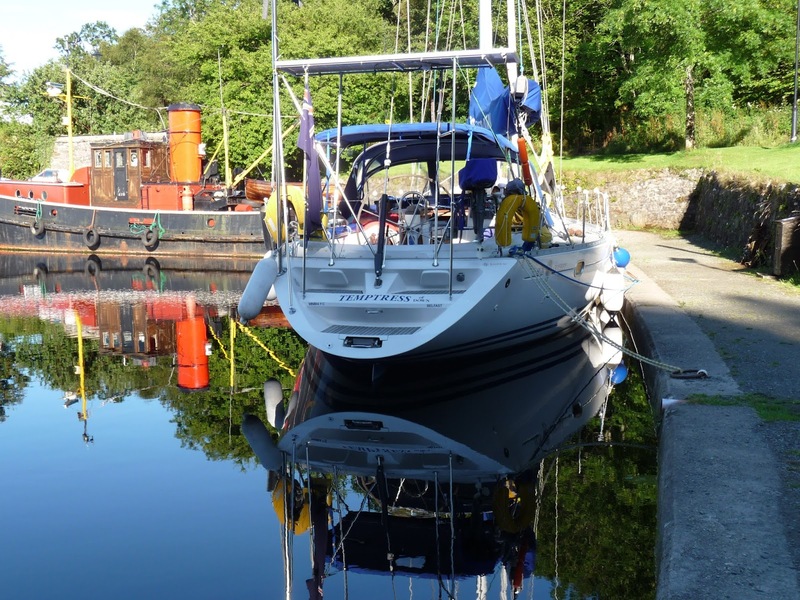 Once in Croabh we caught up with Dubai Offshore Sailing Club’s other entry into WHYW, “Caol Beg” chartered by Ruth and friends, as well as boats and crew who were local friends of the Petrie’s who Susie had met two years ago. Fortunately the next morning’s start was later as it gave the crew time to recover from champagne heads. Sunday’s race one to Oban started with a “follow me” signal in flat calm so the entire fleet and hangers on motored gently north up the course until somewhere off Easedale there was judged to be sufficient wind to get a start after lunch and we finished another somewhat shortened course south of Kerrara just after18:00. The four of us were heartily glad it had not been too windy as Susie’s back was not up to much permitting her to do little more than making hot drinks and navigating. We definitely needed more crew. Monday Temptress cried off the round the cans racing off Oban in favour of a visit to the local health centre for Susie. Stronger painkillers and anti-inflammatories were the order of the day. The NHS system works amazingly well; despite the fact that having been out of the country for the past four years or so we’ve no current GP. Simply sign on as a temporary patient, provide your NHS number then empathy and good advice follows, everyone has been so friendly and helpful. We wandered round to the pharmacy wondering what price a NHS prescription would be nowadays only to find that in Scotland there is no charge. Light exercise such as short walks, swimming with a diet of codeine and paracetemol was again recommended. Tuesday was Round Lismore day – a low long and very pretty island this is one of the races that makes the WHYW so special. Rocks aplenty, tides and few marks. 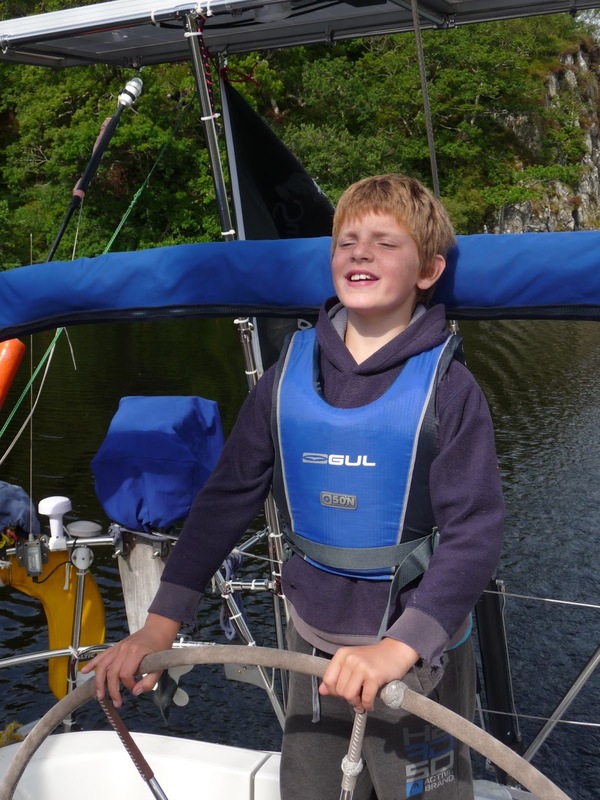 We’d found ourselves some extra crew, the pirates aka Angus and Matthew aged 12 and 9 respectively with plenty of sailing experience already. 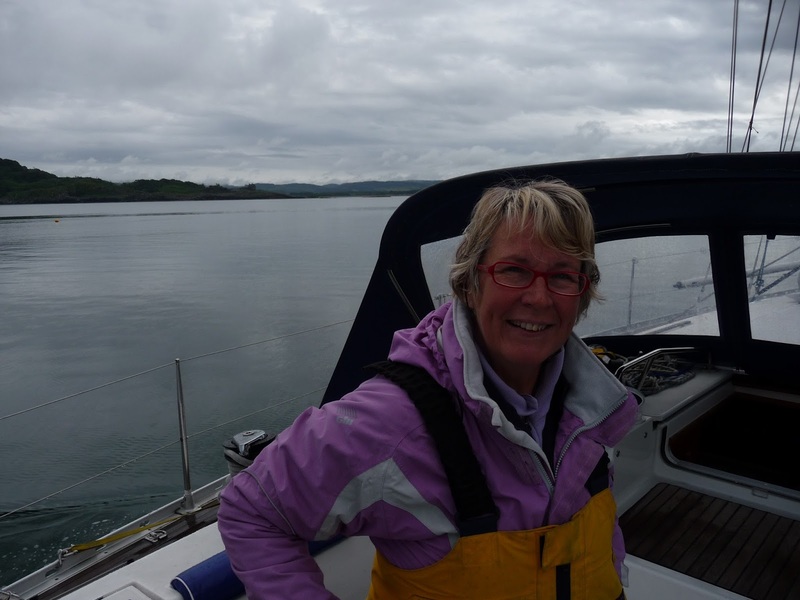 Temptress was first over the start line in her non-spinnaker class and was soon overtaking earlier starting boats as we headed for the maze of islands and rocks to the north of Lismore. Local knowledge helps and as we began the long beat back to the finish we managed to keep ahead of many of our own class to finish fourth. Well done Pirates, Petries and Temptress! Unfortunately the back didn’t withstand the beating and once over the finish line Susie retired to her bunk, her spine refusing to play and causing concern to all. Late in the evening after a long phone call via NHS Direct the duty doctor was called out. He then rang to say he didn’t know how to reach Kerrara Island from Oban so late in the evening, however Kevin found the marina ferry staff were more than helpful despite it being at the end of their long shift and willing to make a special priority trip to fetch then later return the doctor to the mainland. One injection and more horsepills followed with a diagnosis of a slipped disc that was causing the numbness and cramp in the left leg, it would take some time to recover. Our regatta was over before the final crew member Erica who’d arrived that evening had had a chance to sail. 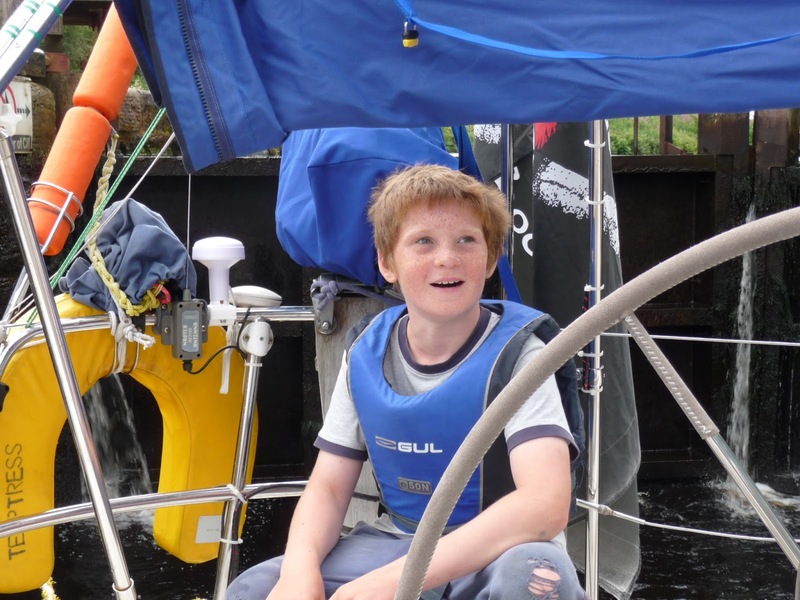 The pirates spent Wednesday proving just how fast Temptress’ tender could plane (13 knots apparently), setting and retrieving the lobster pot and generally having good fun on the water but stuck in Oban rather than racing to Tobermory. Then the crew slipped away leaving the First Mate recuperating mostly in bed with occasional walks along the pontoon or even along some of the island tracks. 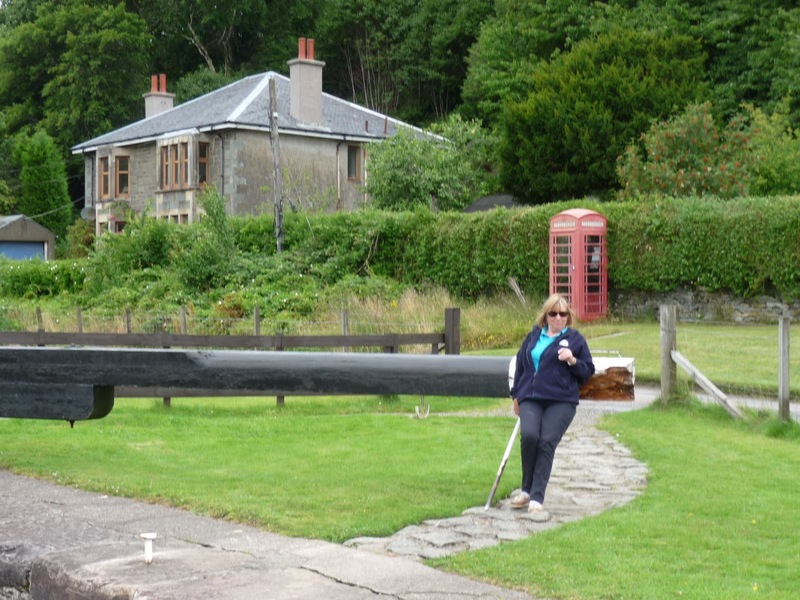 A plan was hatched, we’d stay in Kerrara until Susie was able to sit and move around the boat comfortably enough and then we’d take the gentle route south via the Crinan Canal, Tarbert and Cambell Town with Team Tarbert offering what assistance they could. 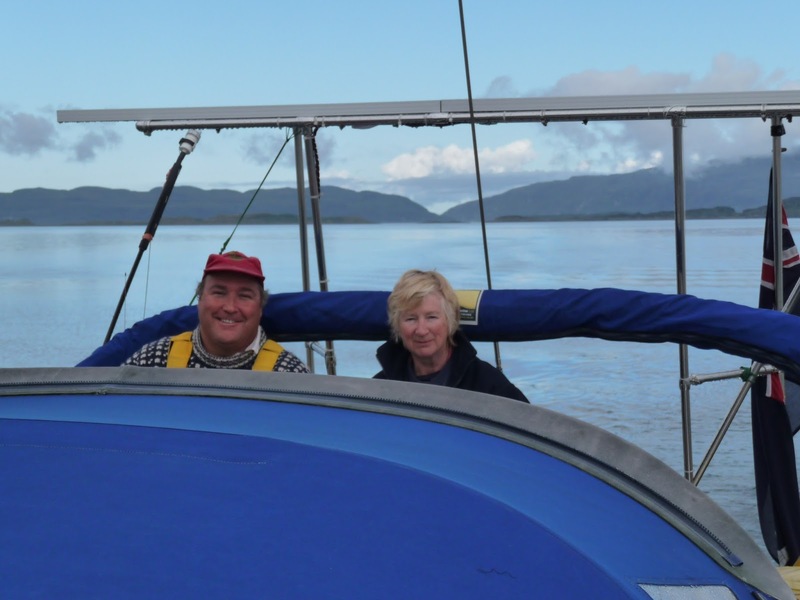 So the first Wednesday of August saw Millicent Reid (Jenny’s Mum) and Kevin take Temptress with her passenger (Susie) on the early morning tide to Crinan. It was raining hard as we passed down Kerrara Sound but approaching Insh it started to dry and shhhh, don’t say it too loudly but the sun was putting in an appearance out to the west of us. 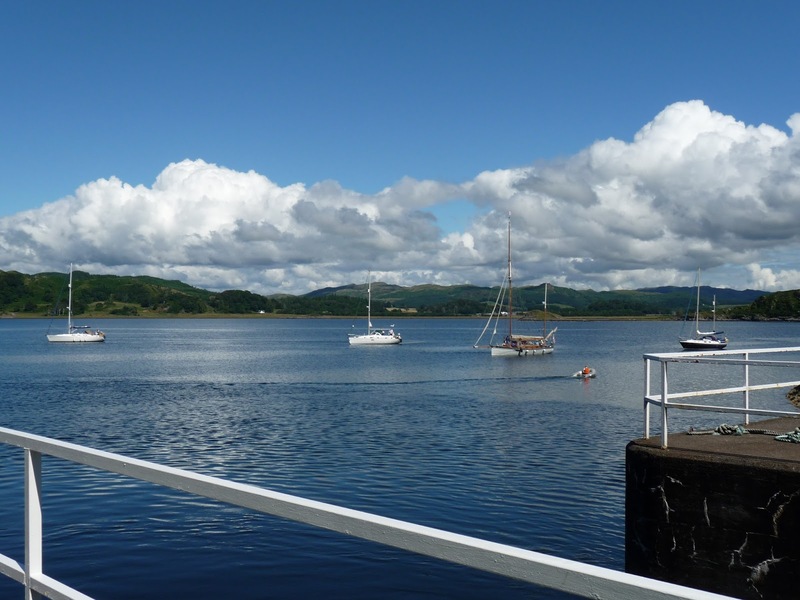 By the time we reached the sealock at Crinan it was beginning to look like a fine afternoon. 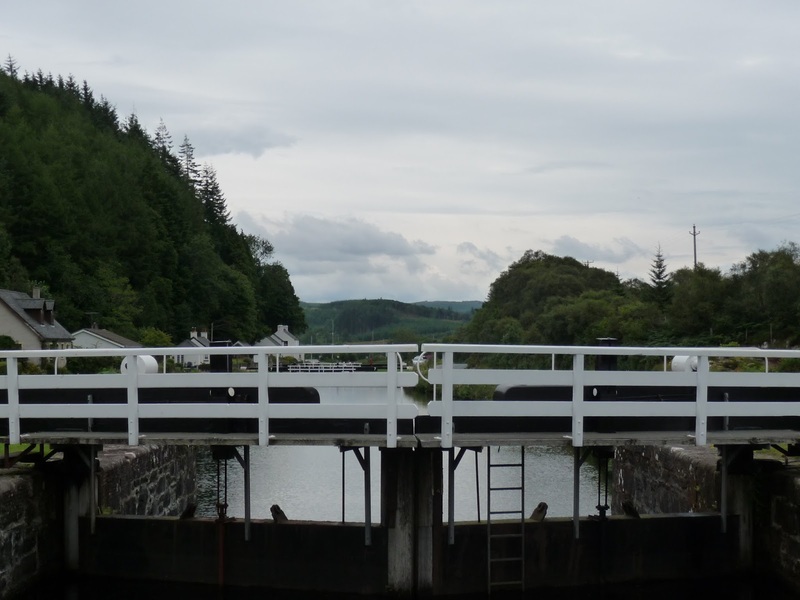 Once through the lock and after a lunch of scotch pies and beans, Millicent was collected by Ian’s taxi service and driven home whilst we settled down to a walk along the towpath to find the spot where the phone signal was usable (thanks Millicent for yet another good tip). 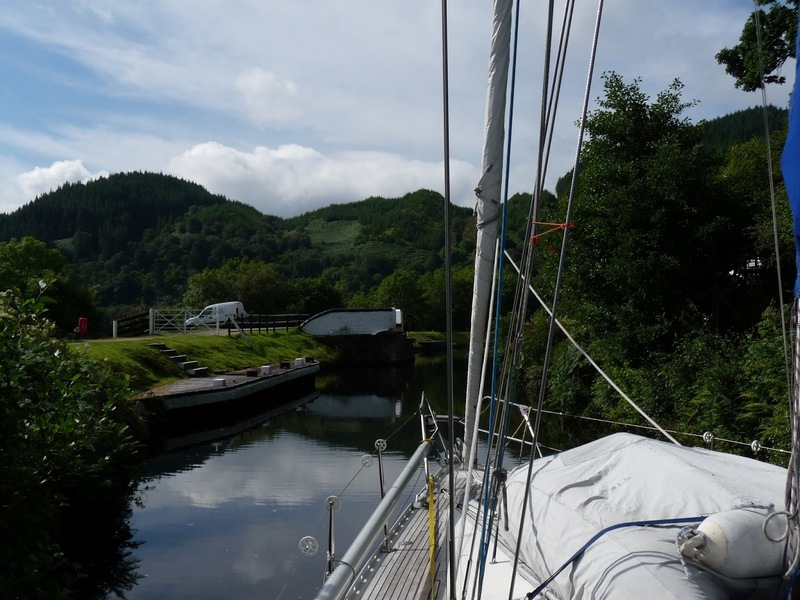 Our mooring alongside in the basin had its up and its downside – we could watch all the comings and goings but we soon lost the evening sunshine and it was a little chilly, almost autumnal. Angus seeing if he would get wet! By the time the pirates plus Mum Emma arrived at ten the following morning the mist had cleared and once we had approval from the lock keeper we could be on our way. 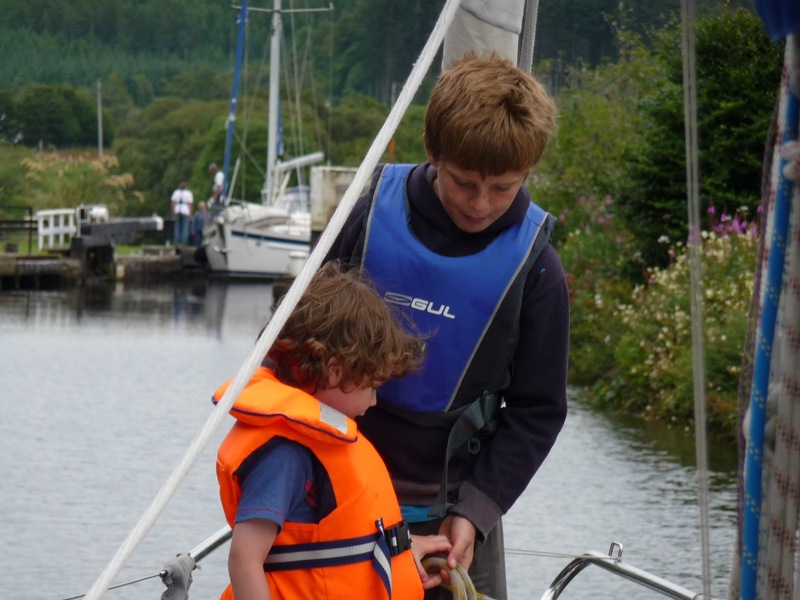 The Peden family have done this before many times with their own converted fishing boat, much heavier than Temptress; the boys handled bow and sternlines like experts whilst Emma walked or drove between locks to catch lines, wind up sluice paddles and open gates. 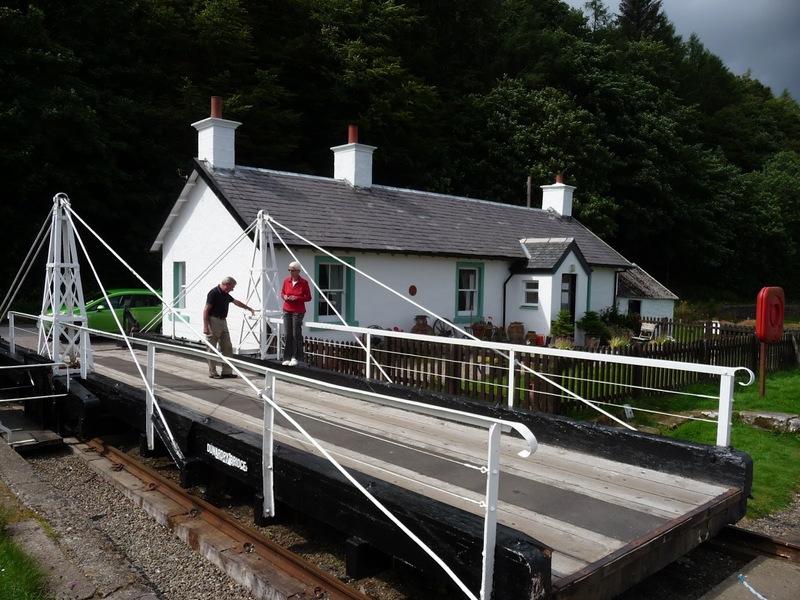 The Crinan is much more DIY than the Caledonian. 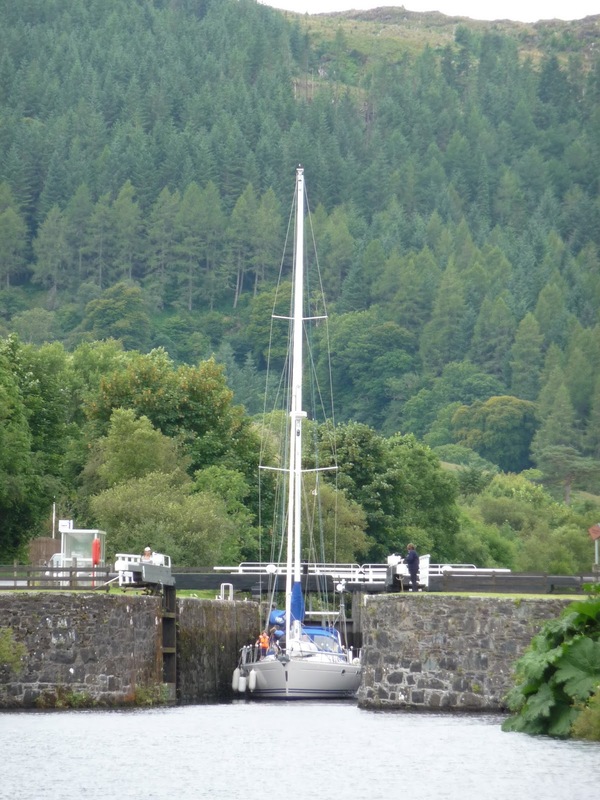 As the morning progressed Moira and her five year old grandson David arrived to bolster the crew yet further then a few locks further on Millicent, free of her B&B guests also appeared – a three car, two dog, one boat convoy. 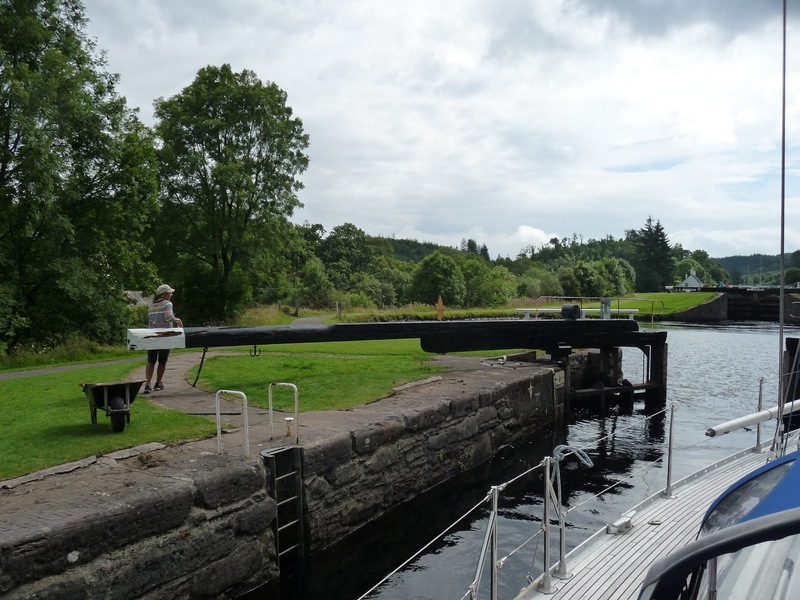 Lunch was taken at the top lock at Dunardry until the lock keeper arrived to say that by sitting with the upper gates open we were effectively draining the top pound as the lower gate wasn’t very water tight! We quickly moved to a nearby pontoon, sorry! 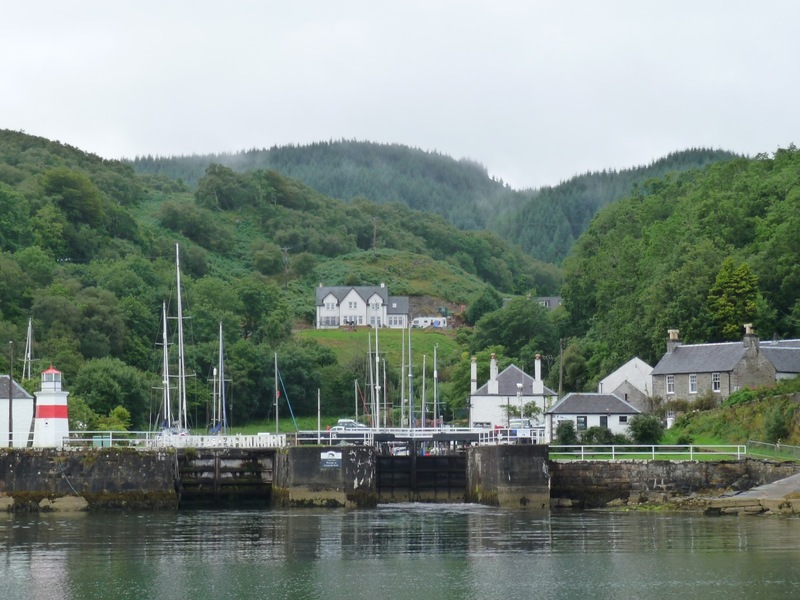 The Crinan is narrow rocky and very very pretty as it winds it’s way through the wooded Argyll countryside. 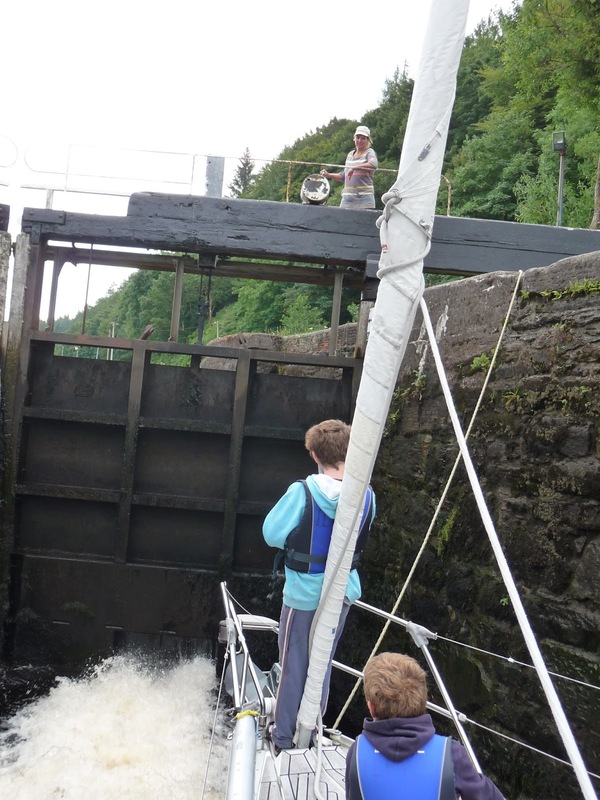 Angus and Matt quickly worked out how to use Temptress’ extra loud fog horn at blind bends and to pre-announce our arrival at bridges so the lock keeper could get them prepared for us. 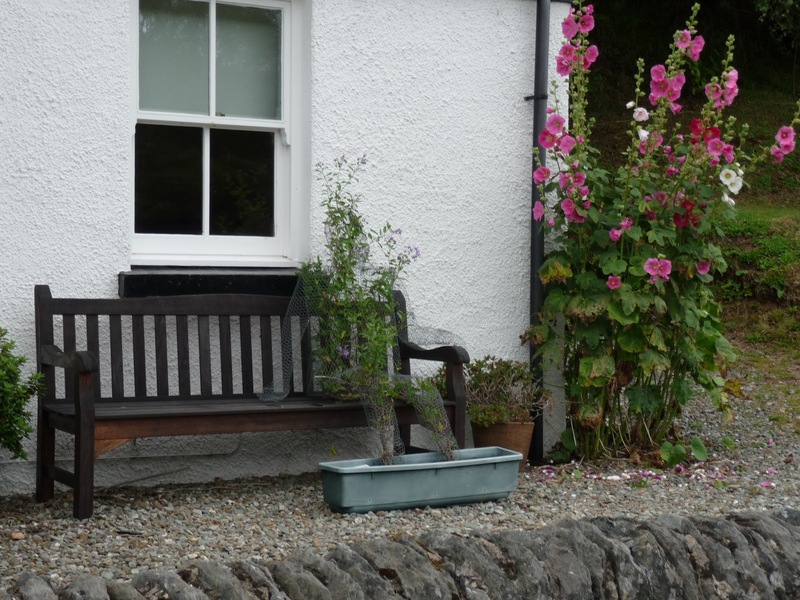 They pointed out who lived where including a tiny tin roofed houseboat tucked into the reeds and the roses-around-the-door chocolate-box pretty cottage where a local artist lives. 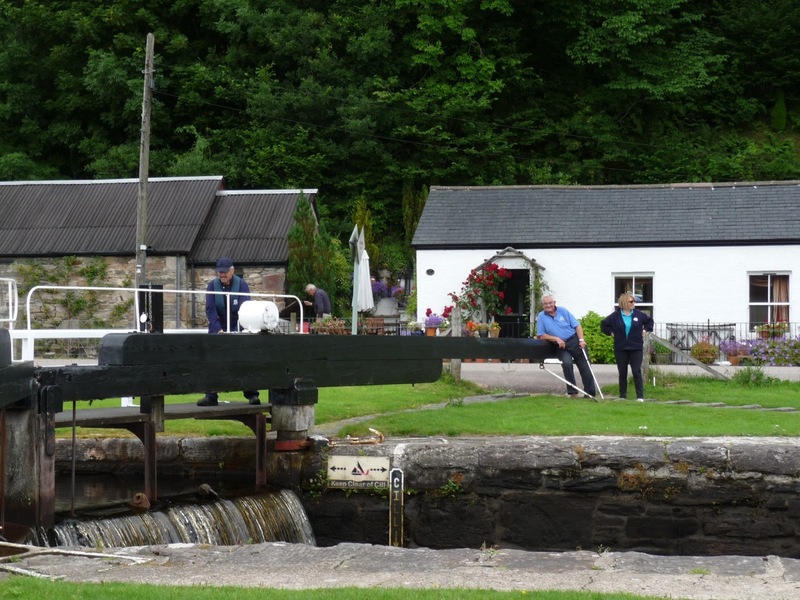 Ten locks and four bridges later Temptress and her convoy & crew arrived in Cairnbaan. A convenient gap on the pontoon below the last lock confirmed this was the right place to call it a day. It had been a fun, proving team work really is the key to transiting this canal. Young David was as pleased as punch that he’d eventually worked out how to throw lines over Temptress guard rail which was almost shoulder height to him even if Granny didn’t always catch them! 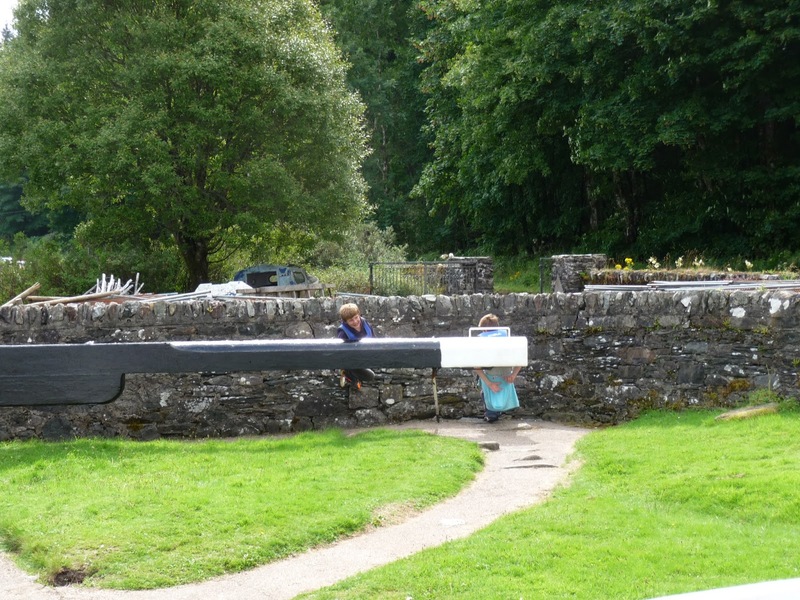 The pirates had loved sharing their encyclopaedic knowledge of the canal with us. And everyone had enjoyed being out in the fresh air having a little exercise! A last cup of tea and a photocall before the crew departed for Tarbert and we settled down for a quiet evening at home, too tired even for a trip to the hotel bar before bedtime. A big thank-you to everyone who has been on board over the last couple of weeks.